Something suggested by Peter some time ago. 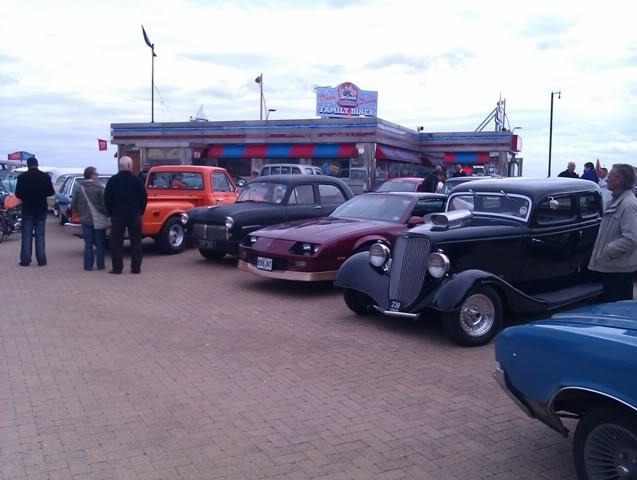 East Coast Pirate's are a car and hot rod club based in Gt Yarmouth. 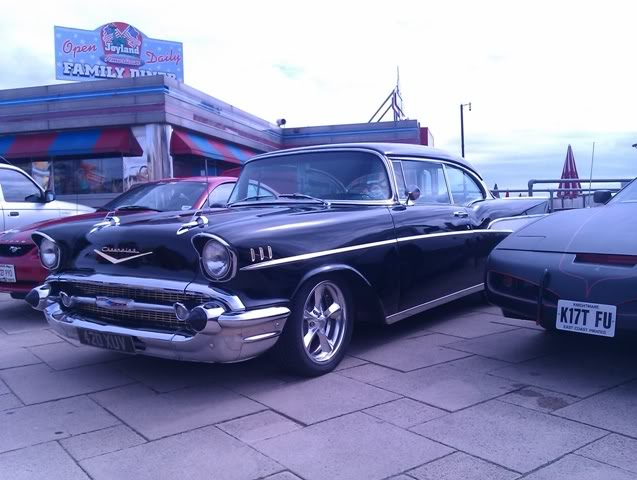 On the 1st and 3rd Sunday of each month they meet at Joyland Diner on the seafront at Gt Yarmouth. Their website and forum are HERE which will hopefully give you a little more info about them. During the year they are very often visited by other local car and bike groups. 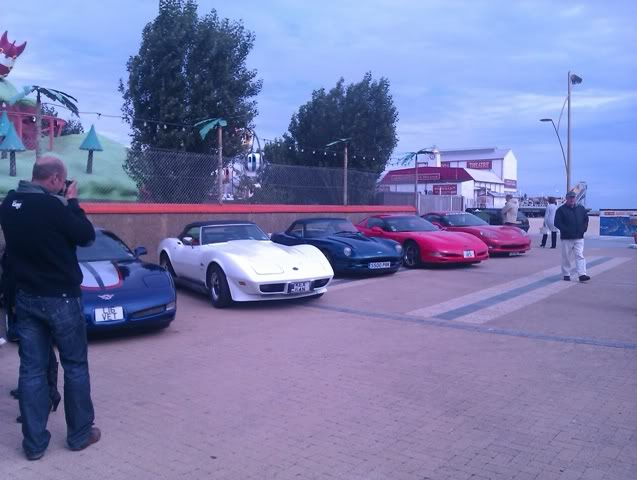 There is parking at the Dinner, as well as on the prom close by. Obviously food is being served at the Dinner. I have made contact with one of their members and they are happy to have us along. I will need to give them an idea of numbers and vehicles attending prior to the date so as they can sort out parking for the day. So who fancys a seaside jolly then ??? Unfortunately, we are away for the weekend that weekend, which is a dam shame, as had been awaiting for this one to happen, and would love to have gone on this trip. So, will be a no for me and Sue, but if the date changes or another one is arranged will certainly be up for it. The 88 and 47 rule. I think my car would like a run out Ian so hopefully, cash and good weather willing I'll be along. Ian's equipment is faulty ( no comments please ) and he has asked me to give some detail re. the run next Sunday and a reminder to anyone that wishes to come along. Meeting point is at Thickthorn Services A47 / A11 junction at 1200 ready to leave at 1215. Need to be at Diner at 1300 and weather looks good so far. We have guaranteed parking but Ian needs to tell his contact at East Coast Pirates the number of cars expected by Wednesday evening. Thanks Peter for updating the thread yesterday. Colin, sorry you can't make it now but I'm sure we can arrange something else in a while. So, anyone else joining us ? Sorry you are unable to make it Colin for two reasons. 2 Disappointed that a hard rockin', hard drinkin' muso like you can't cope with a late night ! Nice idea about next year. > 2 Disappointed that a hard rockin', hard drinkin' muso like you can't cope with a late night ! That reminds me, I'm out of cocoa.. Yes occured to me that perhaps the club could do somthing similar next year and stay over somewhere\anywhere so we could have a run out + have beers in the evening - Sunday lunch and then off home again. There's some nice places from Holme to Sherringham. Well the weather's looking a little grim but the jolly to Gt Yarmouth still goes on ! See you all at Thickthorn in a couple of hours. Good day Ian thanks for organising it all, good weather, good food, good company, good cars, in fact it was bloody good. Maybe their annual show should be on the places to go list in 2011. Set a new record BSE to Thickthorn today, co driver timed us at 30 minutes evidently, it was all a bit hazy and deafening. Please beat it someone. Well a big thanks to all who came along yesterday. A really nice way to spend a Sunday afternoon. 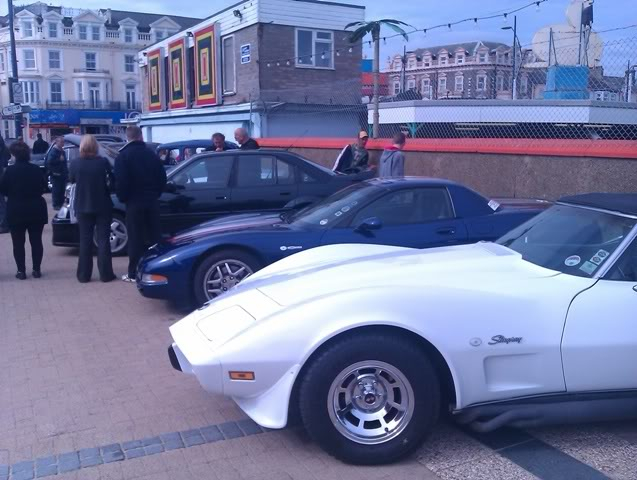 Was good to have some friends from the Corvette club along (Kev & Helen, David & Susie), and hope to see you again soon. Also had a great suprise when Jim & Claire didn't turn up in the Monaro (still at the bodyshop), but a hire car instead. They did however have Claire's Mum & Dad in tow with a Lotus Carlton which caused a lot of interest during the day. Anyway, here are a few snaps from the day. Excuse the quality as they are dreaded mobile phone pictures.